Dead Heads will have to wait just a little while before their revival band returns to touring. At least this week. 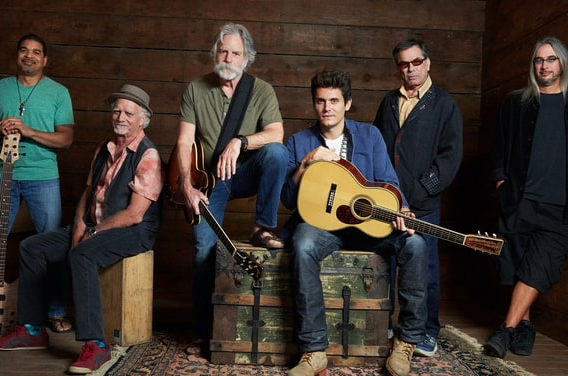 John Mayer, one of the stars fronting the Grateful Dead revival band Dead & Company, underwent emergency appendectomy surgery on December 5 and is expected to make a full recovery. Of course, the timing couldn’t have been any worse as droves of Grateful Dead followers were highly expecting their show in New Orleans show, leaving many perplexed and bitter on social media. John Mayer is recovering from the emergency appendectomy he underwent yesterday and is in good spirits. The Dead & Company concerts scheduled for December 7 in Orlando, Florida and December 8 in Sunrise, Florida, in addition to the December 5 show in New Orleans, are postponed. All tickets for these shows will be honored for the rescheduled dates. Information on the rescheduled concerts will be announced as soon as possible. Should ticketholders choose to seek a refund, they will be available at the point of purchase. And it looks like Mayer is already ready to resume activities. “Still got it,” he posted in a selfie on his Instagram handle. Oh yeah, and in other Mayer news, his latest album The Search for Everything featuring his latest single “Love on the Weekend” is in stores now.